We all gathered in Kirkbampton village hall car park on a dry, but dank Sunday morning. There were nine regulars and a member (Jeanette) who had recently moved to Cumbria from the South of England. 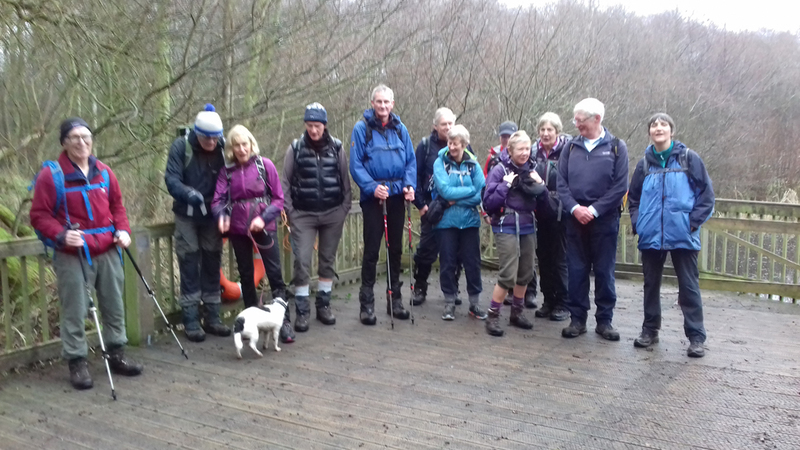 Clare introduced a visitor (Allan Ousby) who walks with Penrith Ramblers and is well known to a few of the members. 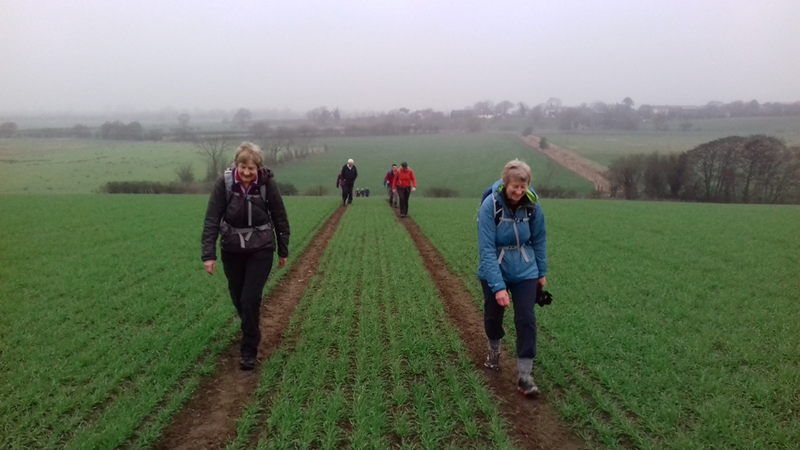 We set off through the village passing the Norman Church up to Longrigg where we left the road and crossed a couple of fields to the entrance of Finglandrigg Wood Nature Reserve. We went through a large part of the Reserve to get onto a track to take us to the hamlet of Studholme. We then went along minor roads to Little Bampton where we saw some rare breeds of sheep which interested a few of the walkers. We stopped on the village green here and made use of the conveniently placed pub benches for our coffee stop. 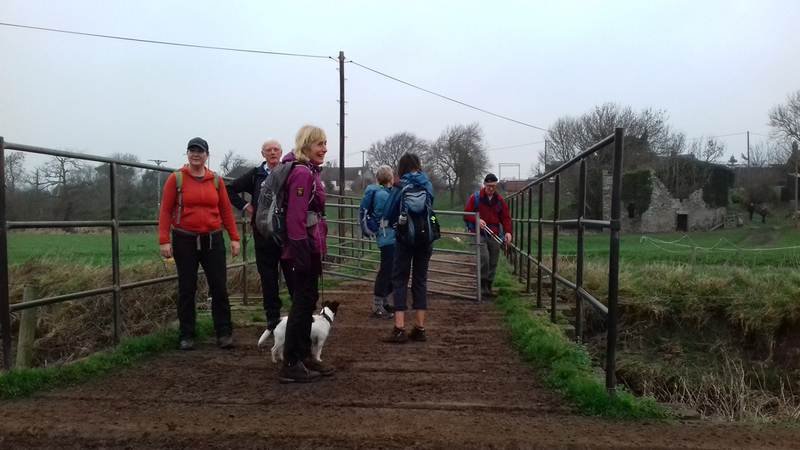 After the welcome break we continued by road to the very spread out village of Aikton where we started down the first of our extremely muddy tracks and the beginnings of our many stiles. This brought us to yet another hamlet, Biglands, and from here we walked to Gamlesby leaving the road here to cross fields to bypass Martin Tarn. The tarn is little known as it is hidden from the road but is very near to the hamlet of Moorhouse. Oddly enough within a ten mile radius of this hamlet there are another two villages named “ Moorhouse”. 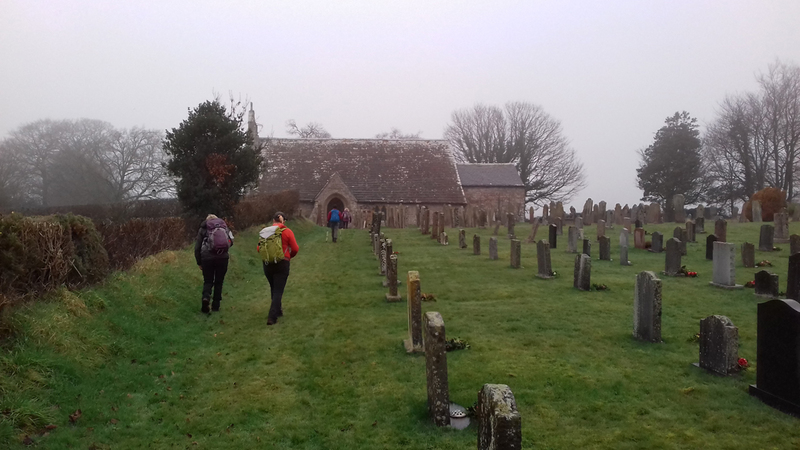 After following the road and crossing fields and climbing numerous stiles we arrived at Aikton Church which is a mile from the actual village. 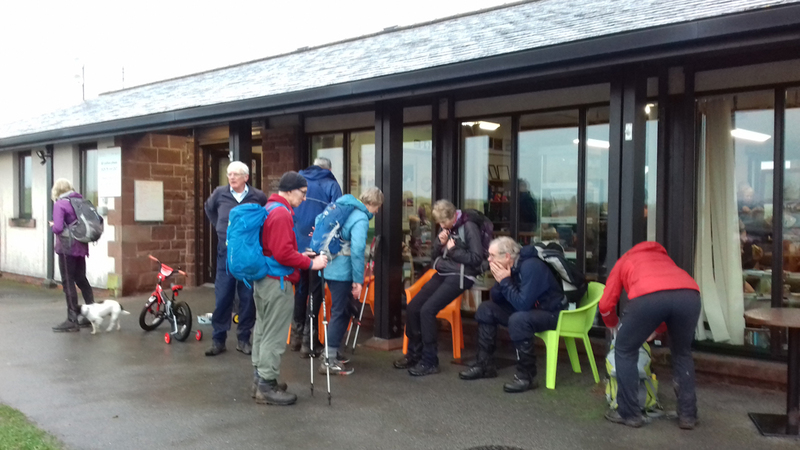 This was our lunch stop and here we welcomed our two other visitors for the latter part of the day Alby and Teresa Douglas who were unable to do the full walk. 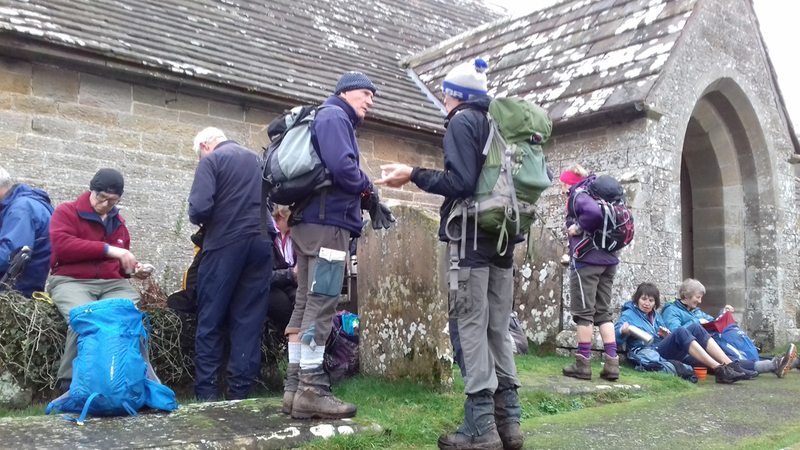 After lunch we left the Churchyard by…..another stile and crossed fields to get out onto the slightly busier road to pass through the village of Wiggonby. 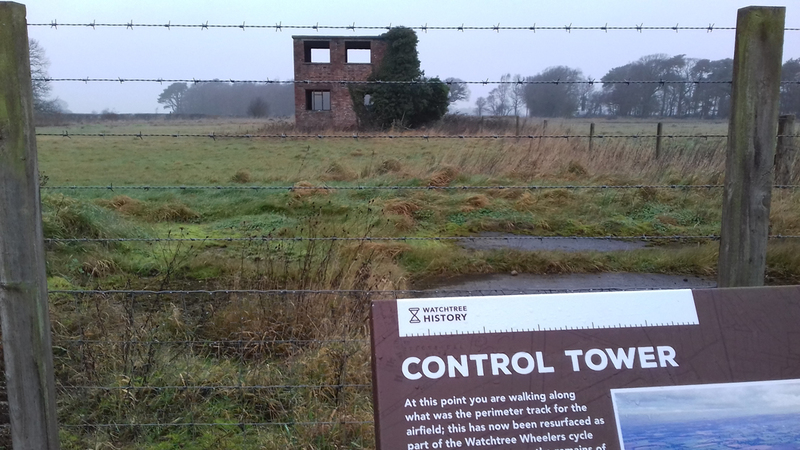 When we reached the abattoir at Black Brow we went onto the old Great Orton airfield and used the old runway paths to get into the back of Watchtree Nature Reserve which is on part of the old airfield site. 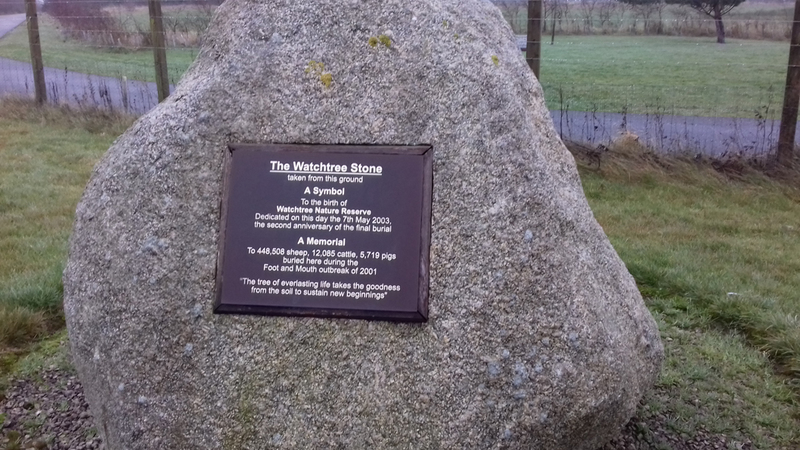 Watchtree is the burial site for 466,312 carcasses comprising of 448,508 sheep, 12,085 cattle and 5,719 pigs that were buried between late March 2001 and 7th May 2001 due to the foot and mouth epidemic that hit our county in 2001. 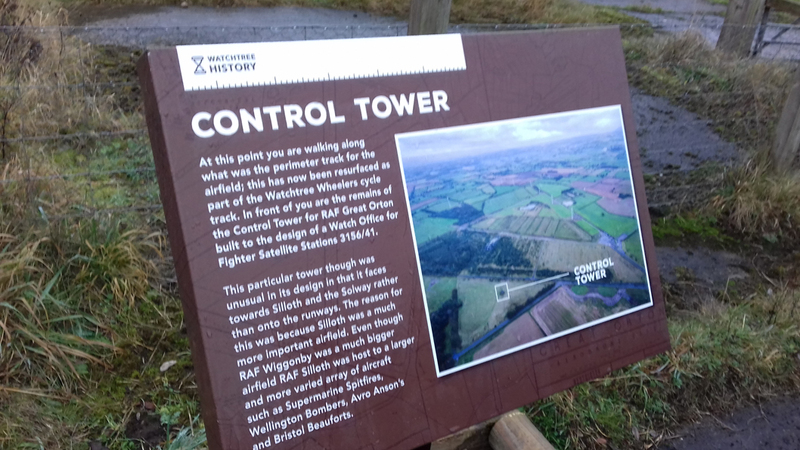 It was a huge burial ground with 26 trenches, which has now been turned into a Nature Reserve with a good tarmac track around the perimeter for bikes. It is used regularly for disabled and family cycling. It hosts a 5 and 10k run every Sunday, which is well attended. It also has a small but well used visitor centre which we visited. On leaving here, we walked back down the road to the village hall. 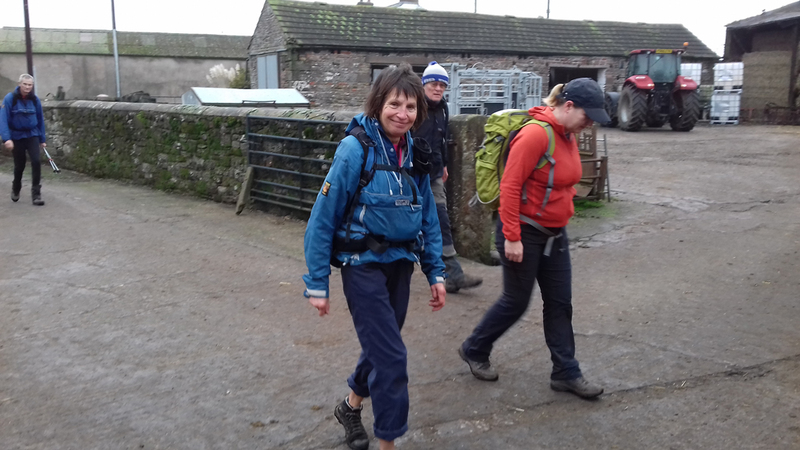 Clare invited everyone back to her house for lots of tea and cakes which was very welcome after 18 rather muddy miles!